A DIY wall mounted serving station would be great indoors or outdoors. If you have a small dining area it could add a great space for storing wine glasses or serving drinks. I love this one version that made it into a nice little appetizer station. Outdoors it’s fun on the patio! Paint a fun sign on the outside to add a little more character. Using it as a storage station for the grill tools is really smart! It’s also a fun place to serve a backyard picnic. Get completely away from the dining theme and use it for storing craft supplies or make a family notes station. You could make a family schedule station. I’d love to see a chalk calendar on the outside with pens and supplies inside for writing notes. It would make a really fun way to stay on top of the daily schedule and add a little “old school” note writing into the family’s life. You could also use it in the bathroom for storage! I can imagine it holding hair or makeup products. You could pull out the ones you’re using onto the serving “tray” then when you’re done just put it all back and close it up! It could really help with bathrooms that are low on storage. 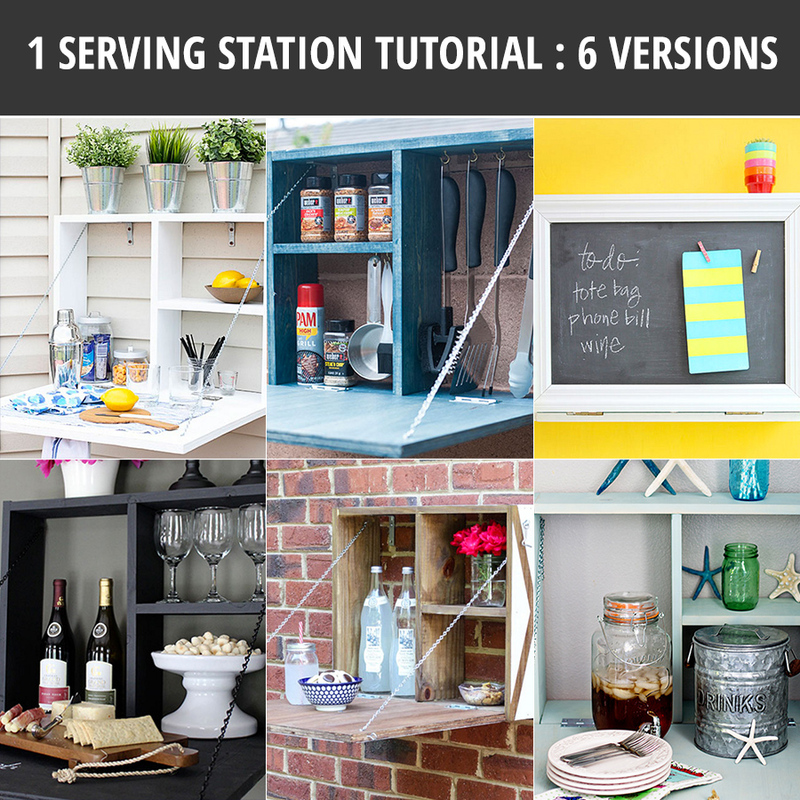 You can find the tutorial for this DIY serving station over at the Home Depot blog. And check out their links to all these great versions so you can see more details! Which version is your favorite? Or would you go a completely different way. I’d love to hear your ideas!